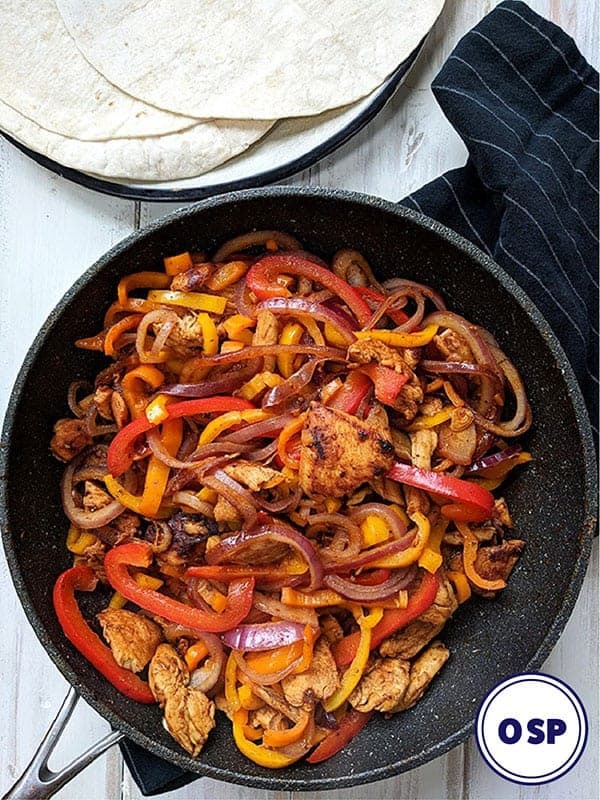 This simple and tasty Chicken Fajita filling is 0 SmartPoints per serving on Weight Watchers Freestyle plan. 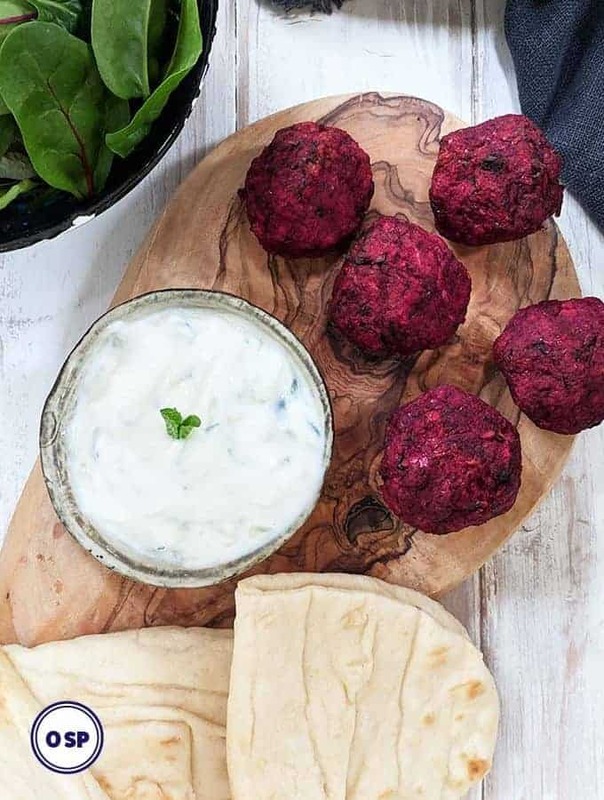 Pile it into your favourite low point tortilla wraps with a spoonful of salsa and some fat free Greek yogurt and you have a very tasty, filling and low point Weight Watchers meal. 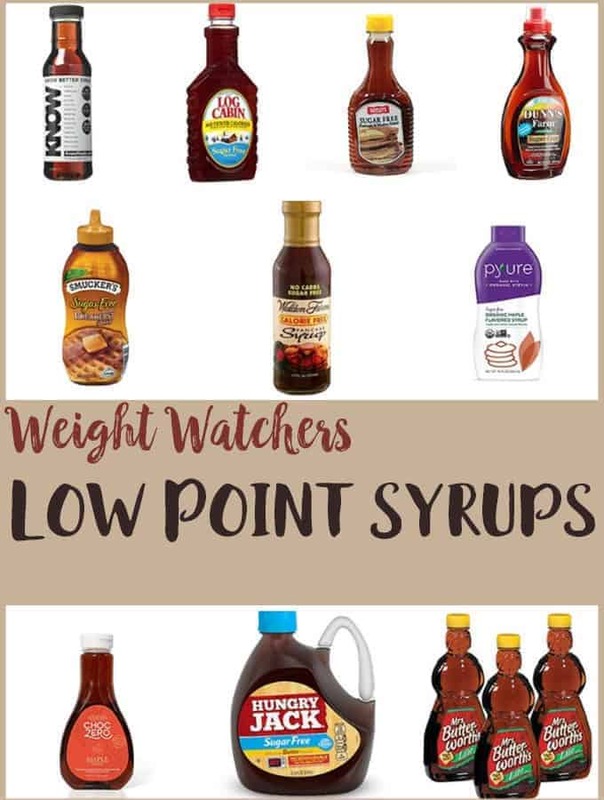 It is so simple and quick to make and it tastes great! 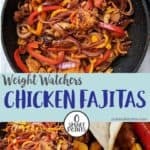 I like Fajitas but when they clock up a whooping 31 SmartPoints for one portion at my nearest Tex Mex restaurant, I knew that I had to come up with a Weight Watcher friendly recipe. 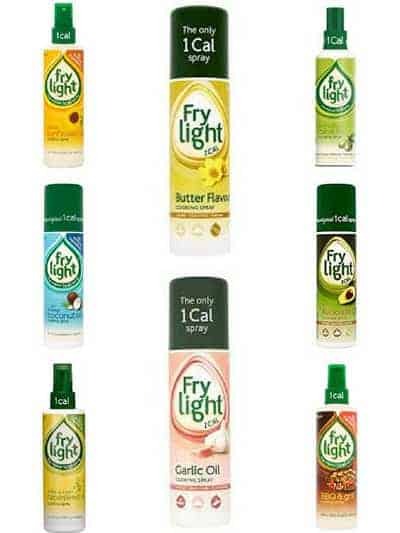 By omitting large amounts of oil to fry the chicken and using a zero calorie spray oil instead, such as Frylight or Pam the point values is reduced dramatically. 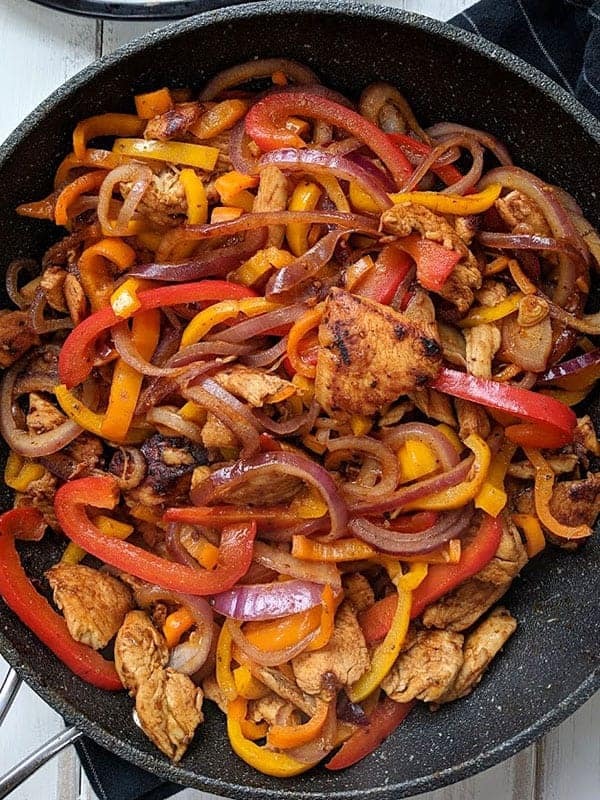 As well as being fried in oil, restaurant Chicken Fajitas tend to be served with lots of high point trimming such as sour cream, guacamole and mixed cheese. 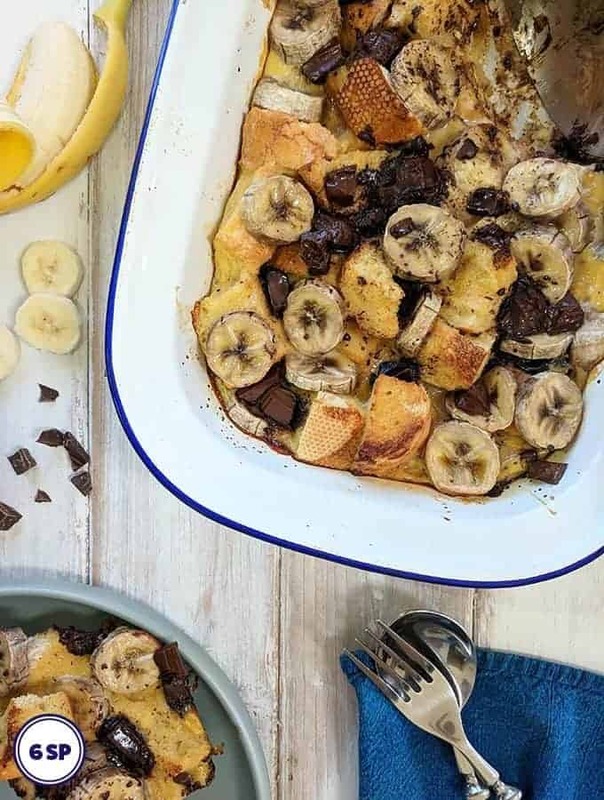 If you are looking for other Weight Watcher chicken recipes, you may also be interested in this Chicken Marsala recipe, or this Chicken, White Bean and Bacon Casserole. This Creamy Chicken Casserole is also very popular. 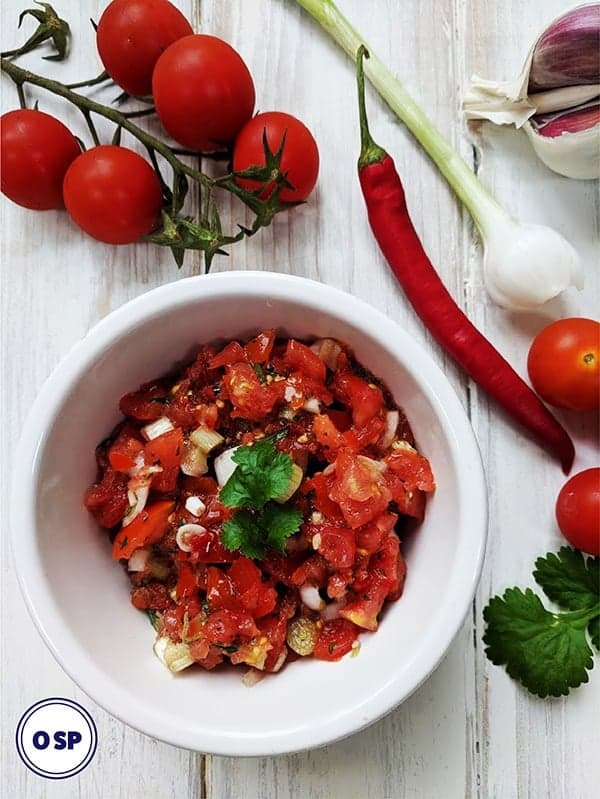 I didn’t want to go without adding trimmings to my fajitas so I serve these with a big dollop of thick fat free Greek yogurt and some Zero Point Salsa. Yum! You could also add 1 tbsp of Guacamole for an additional 1 SmartPoint per tablespoon. Look out for low point tortillas to make this a very low point dinner. Some tortilla wraps are as low as 1 Smart Point per tortilla such as Xtreme Wellness High Fibre Low Carb Tortillas (available from Walmart & most major stores in the USA). Other Tortilla Wraps can be up to 7 SmartPoints, so it is best to check with your Weight Watchers calculator or on your Weight Watchers app before buying your tortilla wraps. Heat the oven to 200oC / 400oF /Gas Mark 6. Wrap the tortilla wraps in foil and set aside. 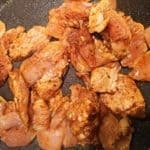 Mix the smoked paprika, ground coriander, ground cumin, minced garlic and chili sauce (if using) in a bowl and add the thinly sliced chicken. 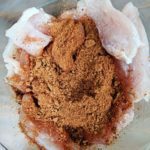 Mix so that the chicken is covered in the spices. Set aside. 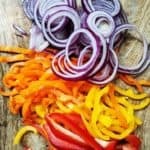 Finely slice the peppers and onion. Heat a large frying pan over a high heat with 10 sprays of frylight. Add the chicken strips and cook for 1 - 2 minutes until they start to colour. Add the onions and peppers and keep stirring over a high heat for 5 - 7 minutes until all the ingredients are brown. 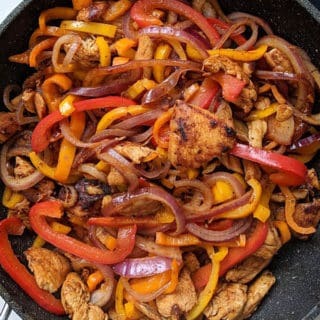 You want the fajita to have a bit of a charred look but you don't want it burned. If it starts sticking to the bottom of the pan add a couple of tbsp of water. Check that the chicken is cooked by cutting the biggest bit that you can find in half and checking the inside, if it is still raw then carry on cooking till it is cooked through. Put the tortillas in the oven for 2 - 3 minutes to warm up. To serve pile the fajita mix on to the tortilla wrap and top with salsa and a dollop of fat free Greek yogurt before rolling up. The whole family loved it! I ate my serving on top of Kale salad for a zero point meal. Delish!